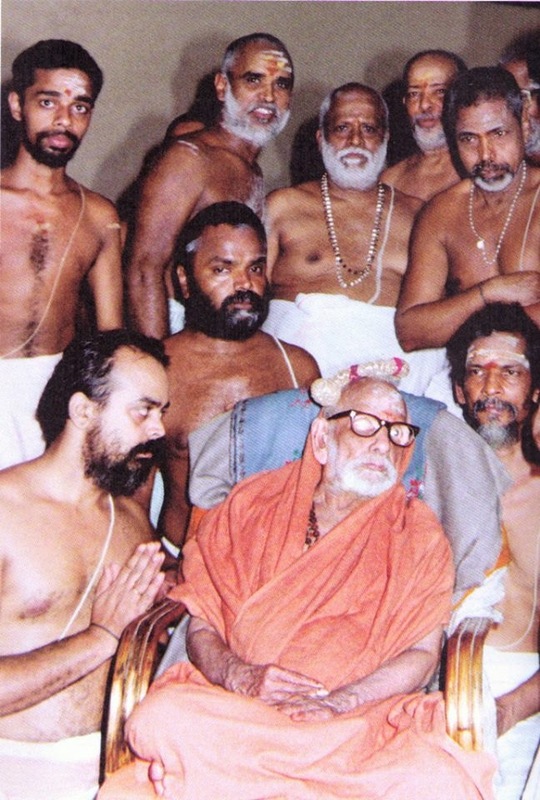 Sri MahaPeriyava had once come to Kalavai after Pada Yatra. He was to camp there for a few days. Two vilva trees of an excellent breed in the Kalavai campus had withered. Vedapuri Sastri and I (Balu Swamigal known as Balu mama in his Purvaashramam) were unhappy and were talking about it. We just could not reconcile ourselves to these excellent trees dying away. We submitted our feelings to Periyava. 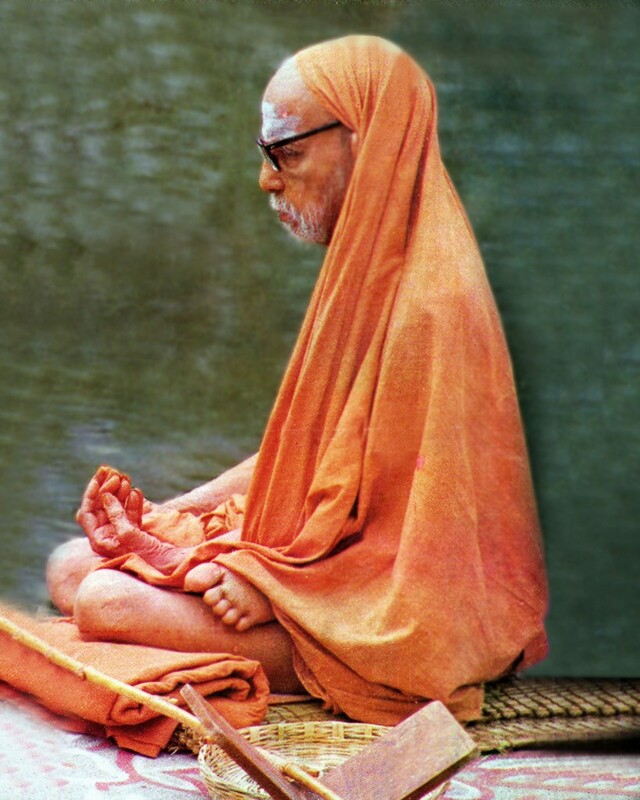 Periyava listened to us without a trace of feeling on his face. We had gone to Him with great expectations and thought that He would say, “Is that so”, and so on. We were disappointed. He could have at least sent for the workers in the Kalavai Brindavanam and questioned them, we thought. He could have asked them, “Why have you been so careless? You have let these ancient trees wither. If you had watered the trees at least now, then this would not have happened!” Nothing of the sort happened. After a while, Periyava completed his Anushtanam, and came out with His ghata, the wooden pot, which He used. There was perhaps a glass of water in it. He poured it to the withered trees and went away. We forgot all about this in the midst of our work. But the trees did not. The two withered vilva trees began to revive barely ten days later and fresh green sprouts dotted the dry branches. We were thrilled. We did not tire talking of this. 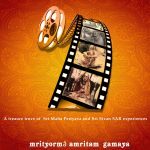 Short of beating a drum to draw the attention of the devotees and others, we repeated over and over again, “It all happened by Periyaval’s grace. He poured about half a glass of water to each of the trees. The trees revived as if fed by nectar,” to everyone and anyone who came to Kalavai. Actually our words were laced with an egoistic feeling. 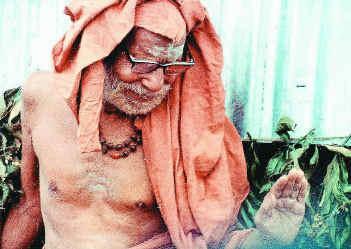 After all, we were the first to tell Periyava that the trees had withered! We prided ourselves over the fact that the trees got a new lease of life because of our responsible effort. 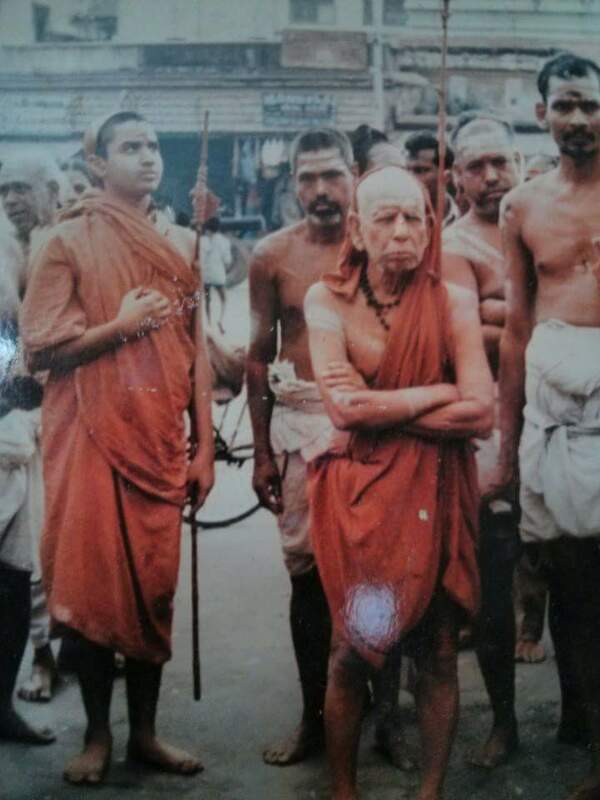 We thought if we carried the message to Sri MahaPeriyava, he would bless us profusely and say, “It was all because of your effort!” How would we forego such an opportunity? More than any one else, He ought to be told about our accomplishment! So, went straight to Him. “The two vilva trees have begun to revive and sprout new leaves, by Periyava’s grace!” A flash of wonder, a bit of surprise, some amazement? Not a bit. Periyava’s face was peace personified. It was the same composure that we saw, unruffled by any trace of feeling, when we told him about the trees having withered. The absence of sorrow, regret or disappointment then, and now, the absence of surprise or wonder. He remained unmoved. The wise man who knows his self is not grieved by loss or delighted by gain. As for us, we are but ordinary souls. HARA HARA SHANKARA! JAYA JAYA SHANKARA!